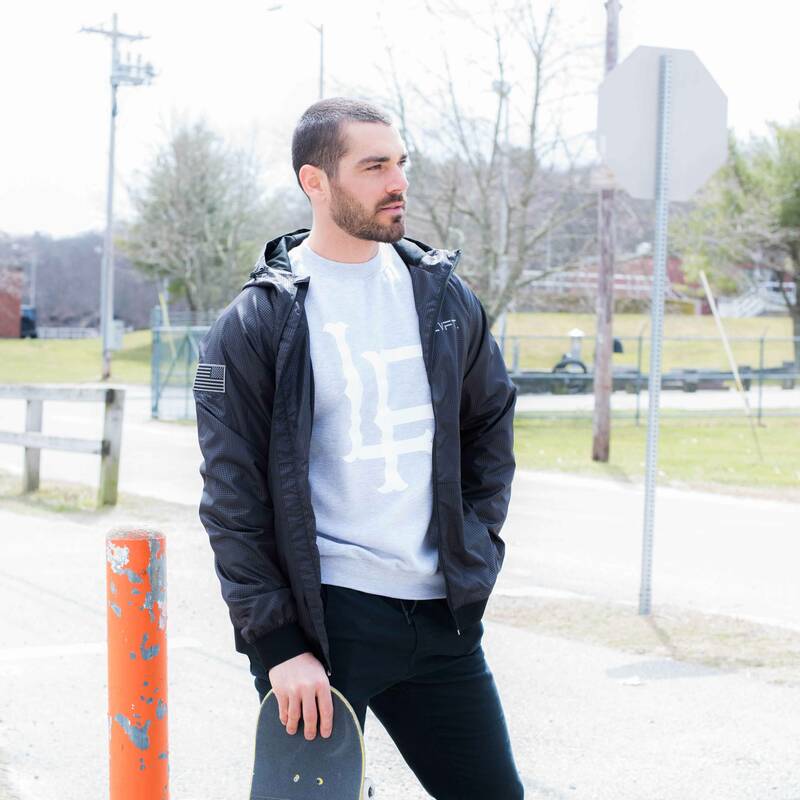 The Daily Push is back with a special guest—Nick Dompierre. This is the first in a series from The Daily Push of ground-breaking NBD interviews with different pros. We’ll be venturing into a somewhat unexplored territory in the world of skateboarding interviews with the purpose of uncovering the secrets to their skating, off their boards. We’ll find out if professional skateboarders really do eat nothing but burritos, how the older pros keep on going when their four wheels really should be attached to a chair instead of a board. We’ll find out whether they stretch, if they have a secret star-jump routine, or maybe we’ll find out that they just do nothing at all. Either way, we’ll be entering an untouched area of the skate world to find answers to questions that have almost never been asked. After watching countless episodes of The Nine Club, it’s come to light that a lot of pros have had a pretty difficult time not just making it in the skate industry, but staying in it too. Nick Dompierre is up there in this group of strugglers, and one of the ones who’ve gone through the most. From near fatal injuries to comas, you just have to watch his four-minute Skateboarder Magazine "What’s The Story" clip to immediately realize how crazy his story is. Nick has made massive changes in his life, which has now become the polar opposite of what it was. He’s gone from raging hard in the party scene to becoming sober and dedicated to living a healthy life—a story that seems to be constantly repeating itself in the skate world. Despite how much he’s gone through, he manages to constantly maintain the positive vibes, and currently commits himself to helping others live a healthy lifestyle too. Prepare yourself for some serious wisdom as Nick talks about the changes he’s made, how they helped his skating, whether he’ll be filming another part, and much more. So you’ve been pro for more than 10 years now, you’ve had the cover of Thrasher and Transworld, a shoe with Adio and DC, pro boards for Real, skated in comps from Tampa to Street League, pretty much absolutely killed it for a solid 10 years. But then you went through some serious injuries that kept you off your board for a long time right? Can you tell us a little bit about that? In 2011, I broke my neck. I fractured my C6 & T1 vertebrae. I thought I’d never skate again. It was by far the worst injury I have ever experienced. During the rehabilitation process of healing my neck I developed the love for strength training. I became obsessed. Just like how I was obsessed with skateboarding. I wanted to get bigger and stronger. And that become my main focus because I could not skate. You live a pretty different lifestyle now in comparison to before your injuries. How have things changed and was there anything in particular that influenced you to make changes? Well again, the broken neck really changed a lot. And I really feel that this lifestyle has saved me, because I did get involved in heavy partying and club drugs. I went through a pretty rough patch of my life. Everything kinda crashed down on me after the injury. My contracts were up that year and DC and Monster didn’t re-sign me. I really didn’t know what I was going to do with my life. So I went pretty hard and got into all kinds of trouble. Which I speak about in a documentary I was working on with Steve Berra. And like with anything I do, I do it 150%. When I partied I was full blast! So when I really got focused on my health and diet, I became sober. I eliminated all the negativity out of my life. I don’t drink or do any drugs anymore. Food is my drug and my drug is food! Can you spill some goss on the documentary? I saw a video a couple of months ago of you and Berra sneaking off to an abandoned house with a film crew, was that related? We pretty much talked about my entire life. From growing up skating, to turning pro, to breaking my neck and getting involved in the partying and the law. It’s a pretty crazy story. I know Steve is super busy but I’ll be stoked once we get it finished! How have you benefited from your change in lifestyle? Since I got into this lifestyle I learned the importance of diet. I can’t preach enough about how important diet is for health and longevity. I’m so interested in the human body and I spend a lot of my time reading and researching data. It’s unbelievable how many bodily functions go on in the body daily. I am still working through some health conditions with my thyroid which is your master gland for energy metabolism. I’m Hypothyroid which means my thyroid is “under-active.” And I also have Hashimoto’s [disease] which is an immune disease where your own body attacks the thyroid, which has really been a battle. But I am learning so much and it’s more data for me to help others. Did your skating improve after your injuries and change of lifestyle? When I first tried to skate after the injury it was so hard. It was really upsetting. I felt so uncomfortable and nervous. It took me a really long time to feel normal again on my board. It was depressing as I went from skating 16-stair rails on the daily to trying to relearn kickflips on flat ground. My body was just extremely tight and I didn’t feel confident whatsoever. I constantly had the fear that my neck wasn’t fully healed and that it would break again. But overtime it slowly began to come back to me. But the changes in my lifestyle and diet has made a big improvement on how I feel. When I would drink and party, skating the next day was rough. I wasn’t as on point and able to focus like I can now. I would always get injured and the recovery time would take forever. But now with having a proper diet and prioritizing my sleep. I can bounce back quickly from an injury. You’re really into strength training these days and have your own online personal training business, right? Would you recommend strength training to skateboarders? Yes, I absolutely love what I do. Not only do I help people lose fat, build muscle or get strong, I teach them the proper approach to nutrition. I teach them the tools of dieting and the importance of being patient with the body. Like with anything, it takes time. Learning how to switch 360 doesn’t happen overnight. Just like packing on five pounds of muscle won’t come over night. It takes time and consistency. I would love to help more skaters as I feel they could really benefit from strength training. It will help them generate more power, pop higher, and of course I’d educate them on nutrition. 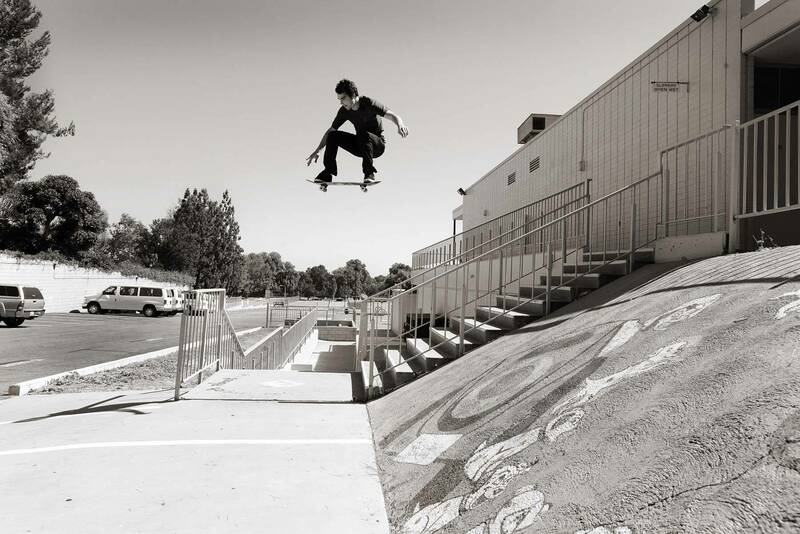 I know Cody McEntire does some strength training and also tracks macronutrients. He’s an absolute savage on his board. Strength training and a healthy diet could be the things that many skaters need. It could take their skating to the next level. What are some good exercises for skateboarders? Some key exercises for skaters would be the squat, deadlift, front squat, chin up and overhead press. These are main compound movements that work several muscles at once. This will give them the best bang for their buck. With minimal time spent in the gym! Have you ever worked with any pro skaters? I did work with Bam for like a week while we were in France. Which definitely isn’t enough time and we didn’t have our own kitchen to cook and prep food. We did get in a few workouts, but diet is massively important. I’d really like to kick it with him for a few months and really help him get his health in order. He’s an awesome dude! Skateboarders seem to always be complaining about body pain, is there anything you would recommend to help them deal with this issue? I highly recommend skaters eat a better balanced diet. Diet is the key to healing, as well as gut health. Your gut is your second brain, and if you’re feeding it junk it can cause inflammation and achy joints. So cleaning up their diets and consuming more protein sources, fruits and quality vegetables. And of course supplements can help fill the gaps they miss through their diet. I happen to be with an amazing supplement company that makes quality supplements called High Performance Nutrition, shameless plug here… If I had to pick one supplement for skaters to take it would be J(8) Joint + Soft Tissue Motion Formulation. Hands down the best supplement for strengthening cartilage and joint structure. Coupon Code: SAVE10 for 10% off. Skateboarders definitely aren’t known for their healthy lifestyles. Why do you think taking good care of your body and health is such an unconventional idea in the skate world? Do you have plans to film another video part anytime soon? I most definitely want to film another video part! But like I said before, I’m working on a health condition I have with my thyroid and it makes it extremely hard to skate. Lack of energy is tough. I do have days where I feel pretty decent, but then some days where I feel terrible. But I’m on the road to recovery and getting better. I’m looking forward to shredding for sure! If you could give one piece of health-related advice to skateboarders, what would it be? Clean up your diet and get more sleep! Diet is so important for longevity. If you want to be able to skate as long as possible, eat quality foods and fuel your body with the nutrients in fruits, veggies and quality protein sources. And get at least 7-9 hours of sleep per night. With these two changes in your life. I guarantee your skating will improve as well as your health and well being!